And who is the best at helping a little bear be brave? His dad, of course! A gorgeous Father's Day gift, that can be enjoyed any day, inspired by the little moments that pass between dads and sons relishing the very simple pleasures of life. On a day that's as hot as hot can be, when Dad Bear says, "I think a pair of hot bears is probably the hottest thing in the world," Little Bear suggests that they go all the way to the river to cool down. 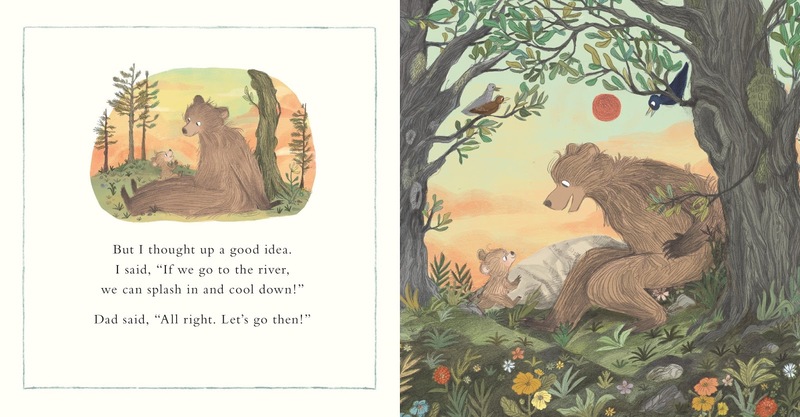 But what will happen when Little Bear tries to impress his dad by doing a big jump across the rocks? The youngest of readers will rejoice in Sean Taylor’s warm, gentle storytelling, and Emily Hughes’ deliciously detailed artwork, bringing to life a hot summer’s day. 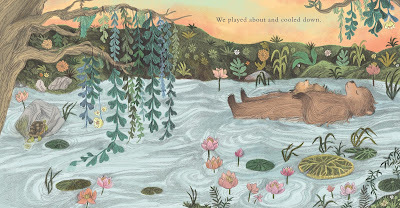 We’ve got a special treat on the Picture Book Party blog! 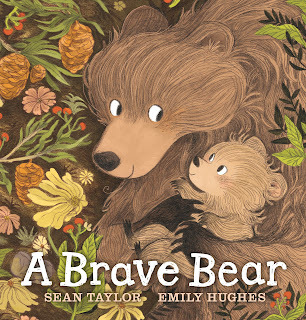 Watch Sean Taylor read A Brave Bear by clicking here and look out for Sean Taylor and Emily Hughes’ feature on the making of A Brave Bear next week! And young bear fans can get busy with our lovely activity sheets - click here. To celebrate the publication of A Brave Bear we have two exclusive beautiful signed book and print sets up for grabs for all you brave bears out there! To enter, just email your postal address to competitions@walker.co.uk with 'A Brave Bear' in the subject line before 6th of May. Terms and conditions apply. Happy World Tapir Day from Mango and Bambang! The making of Alphonse, That is Not OK To Do!